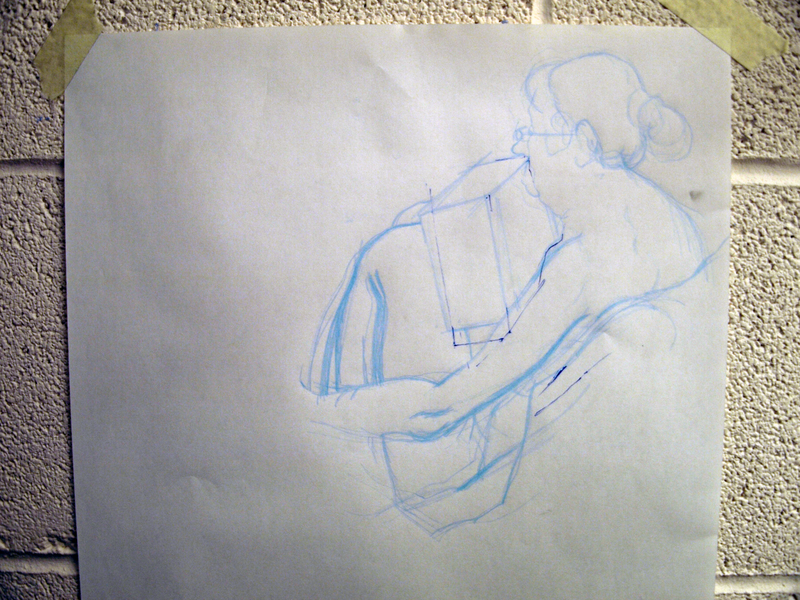 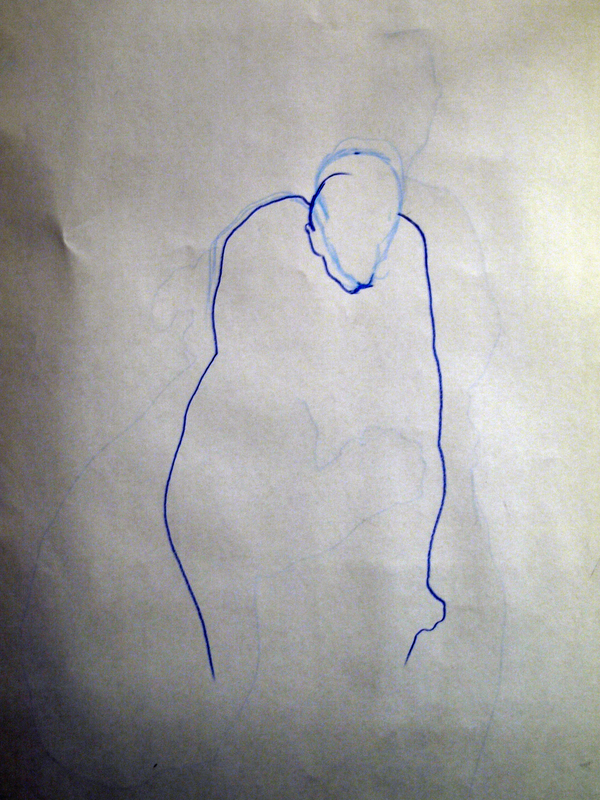 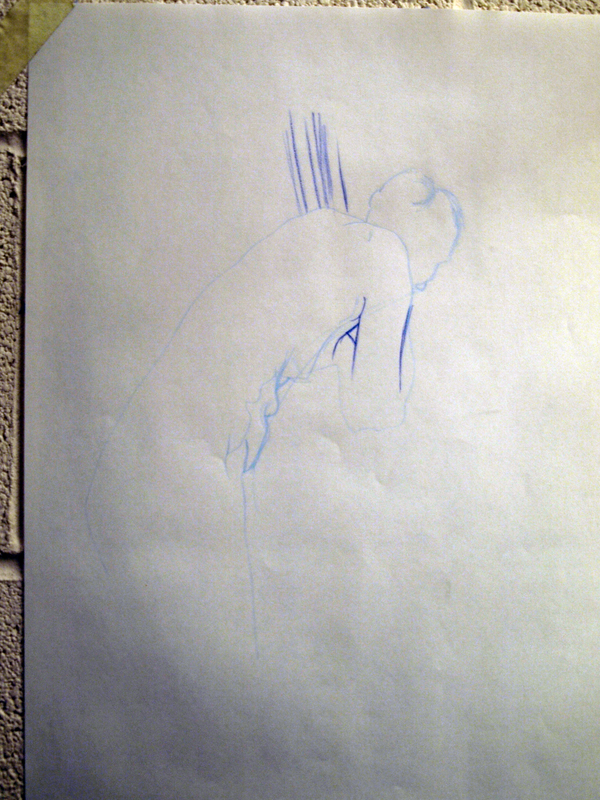 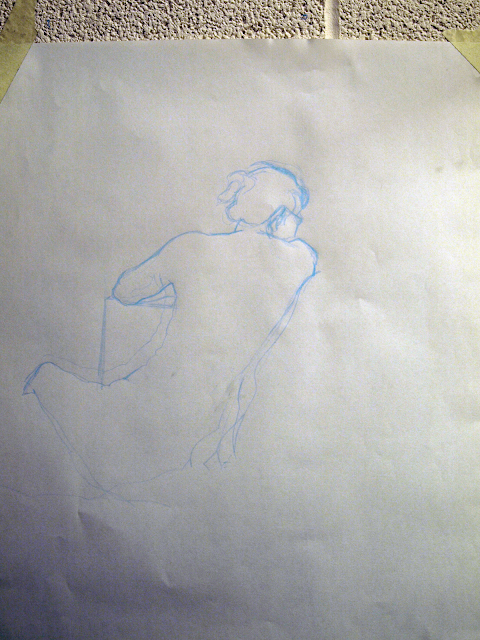 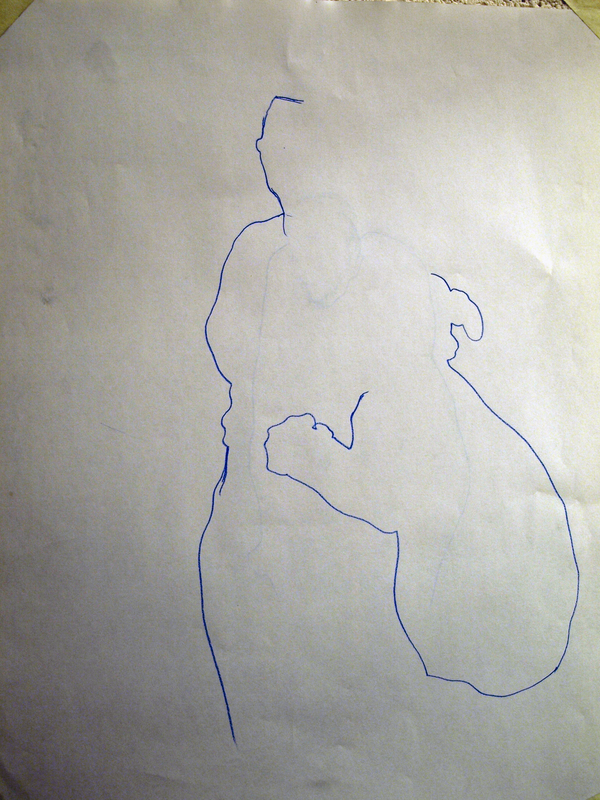 This week, the focus of our life drawing session was to improve our accuracy through timed segments. We spent the first half of each segment using a light coloured pencil to draw the figure as accurately as possible, and then in the second half we would use a dark coloured pencil to correct our drawing. I was really disappointed in my performance this week, I couldn't seem to get into the flow of things at all and I found it really hard to start my drawings which did not help my usual lack of speed.